One of the most important factors for the growth of a country is its oil and companies. These oils are needed for all types of automobiles which drive the nation. Without the right amount of lubricants, or without the right viscosity of engine oil, an engine will not function properly. Engine oil not only cools down the cylinder but also reduces the friction between the piston and cylinder. If the lubricants are less or have lost its viscosity, the temperature will rise and the friction will increase, resulting in the failure of the engine, causing a lot more damage, than you can expect. Hence, it’s very important to maintain the level of oil in the engine. But not all Lubricant brands are the same, some are better than others and some are not so good. Hence you have to choose which vehicle you have and which brand of lubricants will suit it the best. If you are on a budget and want something good for your car then you should go with the Servo Futura D.
Made for new generation cars, the Futura D comes with an SAE 15W-40 viscometrics and API CI-4 specifications. The lubricant also provides excellent oxidation stability, controls soot-induced viscosity, and reduces engine wear and tear. Castrol India was established way back in 1910 in Mumbai, Maharastra and has been the top lubricant company ever since. It is a BP group company dealing in retail automotive lubricants like passenger car engine oils, multigrade diesel engine oils and 4-stroke oils. Castrol India is made only for Diesel fuel and petrol powered cars and vehicles. And it is not synthetic either. Again located in Maharashtra, India. Bharat Petroleum was established relatively new in 1991 during the opening of the trade restrictions by the government. This brand produces lubricants which are generally best known for two-wheelers, however, they also advertise that this helps your car in the city driving where a normal driver can stop and start as many as 18,000 times a year. The oil comes with intelligent molecules that cling, and form a self-healing layer to protect engine parts and are proven to reduce wear in stop-start condition. Established in the Netherlands during the year 1907 they are a world leader in Oil, Grease and Lubricants. 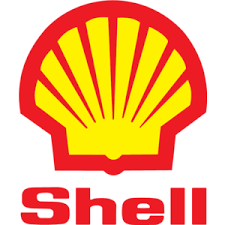 Shell supplies transport fuel to its customers through 44,000 service stations located worldwide and also deals in refining, production, distribution, exploration of oil and gas. They are also a well-known lubricant manufacturer supplying lubes to companies like Ferrari and the Helix Ultra provides maximum performance for your vehicle in any terrain and weather condition. What’s more, it can be used for petrol, diesel and gas powered vehicles. Gulf Lubricant was established in the year 1901 and its head office is in Gulf Tower, Pittsburgh. They are ranked best among the other companies in the oil and gas industry and they are offering on time and quality performance when demanded. They are currently working on projects like the deepest offshore oil and gas field. The advanced oil helps to keep the engine running like new in all driving conditions and comes with unsurpassed protection for high-tech multi-valve engines. Next up on this list of the Best Lubricant Brands In India is Valvoline. Valvoline was incorporated in 1901 at Spindle Top, Texas manufactures lubricants and other fluids for use in metal fabrication, marine and power generation, Industrial machinery and tractors used in Agriculture and Forestry. They offer excellent high and low-temperature performance along with proven low fuel consumption formula. They can be used with any fuel type too. The cost of Valvoline lubricants is relatively lower than the others on this list. Formed in the year 2003 in Maharastra, Mumbai the brand has fast grown into being one of the Best Lubricant Brands In India. The company is a manufacturer of heavy-duty engine oils, everyday motor oils, premium motor oils, and specialty industrial lubricants. This is a trusted brand in India and the company also participates in motorsport competitions on a global platform. They also have a high drainage period, meaning you need not change the oil again and again. They are priced competitively as well. Taking the eight spot on this list of the Top 10 Best Lubricant Brands In India is ExxonMobile. Established in 1911 and with headquarters in Gurgaon, Haryana the brand has been increasingly growing popularity amongst bikers. They have a huge product line that includes heavy-duty engine oils, everyday motor oils, premium motor oils, and specialty industrial lubricants. The type of innovative technology used in their blending plant has a capacity to produce 72,000 MTPA a year which is 2nd highest in the country. Sinopec is a growing brand that was started in 2003 and has more than 93000 employees globally. It has a huge product line that includes Greases, cooling system, Manual Gearbox and brakes. In India, the company has a corporate office in Mumbai and has a network of PAN India. Sinopec is one of the few automakers offering an interesting engine guarantee. If your engine has 125,000 km or less on it, you can register your vehicle for a program, which, based on a set of entry requirements. Then Sinopec will provide your engine with a bit of a warranty as long as you follow their oil-service guidelines. Coming in on the last spot on this list of the Top 10 Best Lubricant Brands In India is Hindustan petrol. They are a relatively new player on the lubricants market. HP is the part of eminent Hinduja Group. Hinduja group acquired HP in 1980 and owns the complete right to the brand. Their Bina Refinery has a capacity of 6 million metric tonnes per year. The company also houses more than 8000 employees out of which 6000+ are permanent. Above in this list are Best Lubricant Brands In India in which you should invest upon if you’re looking to buy lubricants for your car. However, by now you must have a fair idea as to which brand specializes its products towards your car. After considering the price you should have had your ideal brands in your mind.